I will also provide a compatibility CD that will allow the game to run under ALL VERSIONS of Windows 10, 8, 7, Vista and XP, both 32 and 64 bit. Note that Internet play is not supported. 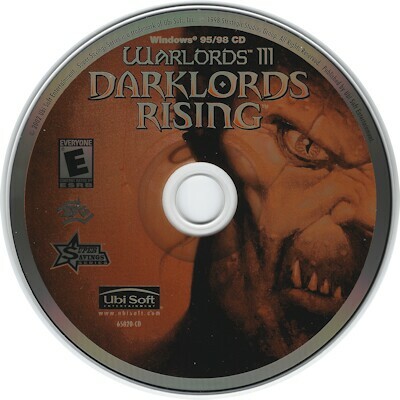 Warlords III: Darklords Rising is an improved or gold version of the 1997 release Warlords III: Reign of Heroes. 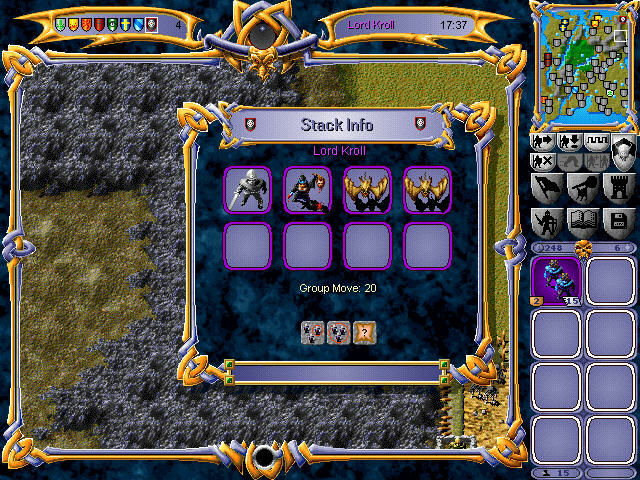 It has the same graphics and interface with more campaigns, scenarios, units, spells, and heroes. 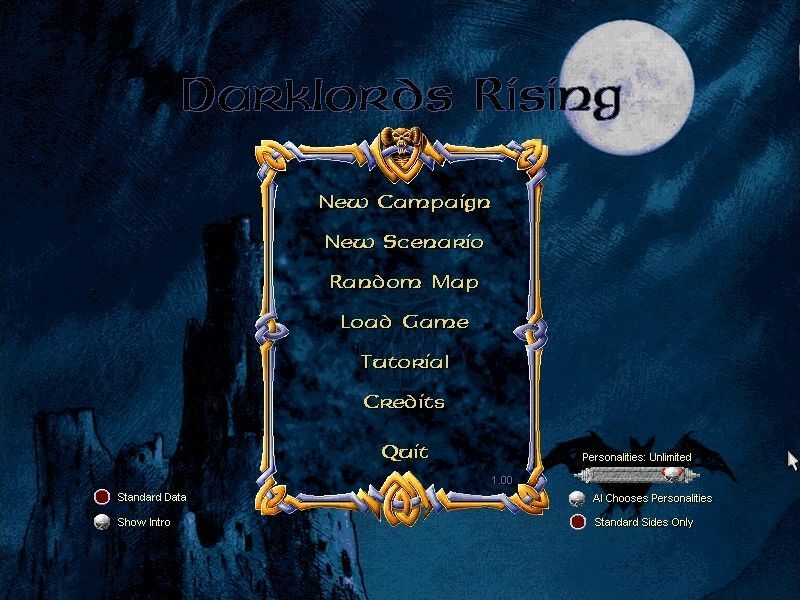 The game also includes all the campaigns and scenarios from Reign of Heroes and has a map/scenario editor. Gameplay is all about creating army stacks, which can contain up to 8 units, and combining the right bonuses. You then use your armies to conquer cities. These cities produce your units and give you the gold to fund your campaign. Armies can be lead by a hero, but it's not absolutely necessary. You can use your heroes to search interesting sites like caves and monoliths. Also your heroes can accept subquests to raise their experience. The game focuses only on big battles; there is no micro management in this game. When two armies meet, the battle is executed automatically. Warlords lacks Heroes of Might & Magic's tactical combat. Aesthetically, Warlords III is nothing out of the ordinary though it is a dramatic improvement over its predecessors. The high-resolution bird's-eye- view world maps look realistic and attractive enough, while each of the dozens of military units are imaginative and readily distinguishable. Dispersed throughout the game are beautifully hand-painted scenes depicting each troop type, castle, character, place, and special event. These contribute immensely to the feel of Warlords III, offering that extra sense of detail and involvement, which is nonexistent in most strategy games. Sound effects are sparse but effective, while the music score (composed by Steven Fawkner who designed the game) adds just the right touch of symphonic grandeur.